When we asked the question of VisitScotland several months ago in relation to why they were creating a search engine for Scotland when a perfectly good one called Scotland was already in place they pooh poohed the question as being irrelevant. Even when pushed specifically about the forthcoming launch of Google Hotel Finder it was dismissed as being a non issue. Well here we are some nine maybe twelve months later with a new VisitScotland website launched four weeks ago and the launch today of Google + Local. Try it yourself and see how irrelevant it all is now. If you were a visitor which one do you think works best for you? The folly of such massive multi million pound public investment has never been so stark. This is not much short of a scandal. And yet again they ignored all of the warnings. 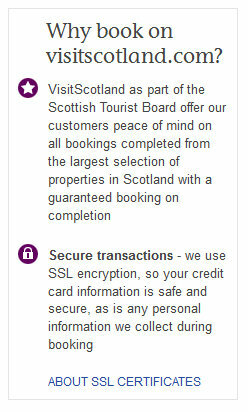 We tired Search Results for "Visitor Attractions Edinburgh" on both pages. We are currently writing a toolkit for Scottish Tourism Businesses - follow TourismMatters on Facebook to get details of the download when it goes live. It's great what you can find in Board papers. These paragrpahs are lifted directly from Visit Scotland's December minutes. Now I'm not for a second suggesting wrong doing or illegality. It's simply that the volume of contracted merchndise being bought by a single public secotr body must surely be hurting retailers somehwhere in Scotland. Is this all for Visitor Information Centres? The question is surely whether this is what the public sector purse should be doing. The total maximum value of the contract across all three lots will be £5,500,000. Now to see if I can find what I was really looking for! Are VisitScotland Continuing to Play Unfairly? This comment was an excellent contribution written by Terry Jackson to a discussion on New Models for Destination Marketing in the excellent iVisitorGuide managed by Martyn Collins. The article discusses the role of public funding and the need for a change of strategy, the reponse touches on EC Competition law and why Public Sector DMO's had to stop marketing online rooms commercially. It is published here in the light of VisitScotland releasing a new version online booking engine on the revamped public sector extranet in spite of all the guidance stating in doing so they are in non compliance of EU Legislation. You've unmasked the masquerade that's been present in the UK for more than a decade, brought to heel now by EU Competition Law that came into force late 2009 with the Lisbon Treaty. The result has been central government's cut in VisitBritain's funding as part of the spending review - VB was operating at a £0.7m deficit - forcing abandonment of the National Tourism Open Platform together with associated systems that found UK government on the wrong side of the law. It was also a factor in the dismantling of development agencies that were funding local government DMOs using the same systems, which saw them too acting illegally. The US equivalent of EU Competition Law is the Sherman Antitrust Act that came into effect in 1890. It underpins the American culture of innovation through open market competition and is why we have Apple, Google, TripAdvisor, Facebook, Twitter - I could go on. All these supranationals lie at the very heart of both international and intranational tourism marketing as we know it today. It's the reason why TBIDs in the US are more likely to succeed, whilst any in the UK are unlikely to because the culture's all wrong. Hypothecated taxation is not the issue. It's the ability to use the funding in a commercial environment where all marketing must lead to a sale. At the turn of the millennium, government-funded DMOs were intended as Destination Management Organisations. What happened next was a game changer. A handful of technology companies that had developed online booking systems, responded to government tenders that were to see their technologies embedded in DMO websites. It saw DMOs morph overnight into Destination Marketing Systems, bringing them into a space occupied by the private sector and finding them in competition with online travel agents (OTAs). Neither the bureaucrats nor the politicians had the wit to understand the economic consequences and legal implications. Having built their new websites with booking systems in place, it became a political imperative for the DMOs to attract traffic to them and generate booking enquiries for tourism businesses listed on their sites. Using taxpayers' money they competed with the OTAs for popular keyphrases using pay-per-click (PPC), thus driving up the bidding prices that could only be recovered by the OTAs in commission charges to businesses. With DMOs having none of their own products to sell, the only way booking enquiries could be converted to sales was to refer them direct to businesses listed on their websites or, and here's the rub, to OTAs nominated by the businesses to process the enquiries on their behalf for a commission payable on the booking value. The twist, however, was that the technology suppliers to the DMOs were also OTAs in their own right, nominated to process the enquiries, and technology suppliers to other nominated OTAs. It takes a moment to realise the full implications. In effect, the technology suppliers had three interwoven income streams. One from the taxpayer for the systems; a second from the businesses for the bookings, and a third from other OTAs using their systems. All in a day's work and we must take our hats off to those who drafted the legal Agreements. But not so smart of the DMOs. 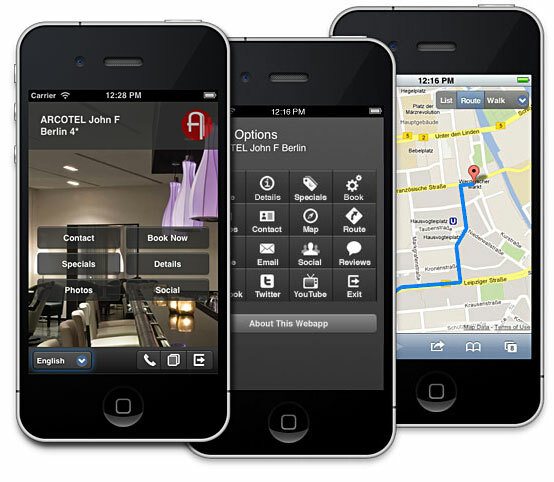 Bookassist has announced a major upgrade to their industry-leading mobile webapp solution for hotels and hotel groups. Following the original release in early 2010, Mobile Webapp V2 has been completely re-engineered to take advantage of the latest mobile technologies. Hundreds of hotels already use Bookassist's mobile solution and will receive an automatic upgrade to the new platform today. Ian McCaig Managing Partner for Bookassist in Scotland was quoted on Facebook saying, "This really does change the game for Scottish hotels looking to have the most relevant mobile version website around. It is available for hotels currently using Bookassist but can also provide Scottish hotels not currently using Bookassist's booking engine with a leading edge mobile site for the summer traffic. Just imagine your potential guests tired from the London Olympic grind easily booking your hotel on the ground..."
"We're seeing more and more of Scotland's larger hotels getting in touch to find out more about the marketing and conversion power of the booking engine and the new app simply reinforces that as a company we are committed to innovation and fulfilling the needs of the online customer whether at a desk on a laptop or a mobile device"
"This also provides a superb and cost effective method for large, and even chain, city centre hotels to ensure that they have a genuinely professional mobile presence for business and lesiure travellers coming through Scotland's airports in Olympic year. Bookassist mobile can act as another direct sales channel and allows them to compete more effectively against the high cost OTA's"
"Since the first release of our mobile solution just a few short years ago, mobile use in travel has changed dramatically", said Dr Des O'Mahony, Bookassist CEO. "We've re-built our mobile platform from scratch to be even more compatible with the proliferation of smart phones out there and to allow hotels to provide a much higher level of service to their mobile customers." "People on mobile have specific needs and limited time. A mobile solution needs to be far more focused on your mobile customers’ specific needs than a website. Bookassist Mobile Webapp V2 is exactly that, and we've shown again with this release that we continue to lead the way in mobile innovation for hotels." The system automatically switches mobile customers from the full website to the Mobile Webapp version for the hotel when it detects a smartphone in use. Customers then find instant access to the main features they need - make a booking, see photographs, switch languages, locate the hotel on a map and get directions, phone the hotel directly, see special offers - all in a simple, uncluttered interface. And if they prefer to exit to the full website, they can do so with a simple tap. By tapping the new “Social” button on Mobile Webapp V2, hotel customers can view and interact with Facebook, Twitter and YouTube streams for the hotel right within the webapp. Hotels can publish their reviews on the web app so that customers feel more reassured before making a booking. Booking on mobile is simple on Bookassist Mobile Webapp V2. From choosing rooms to completing a booking takes just a few taps. The system also includes Special Offers that hotels can customise for their mobile guests using the Bookassist Administration System. 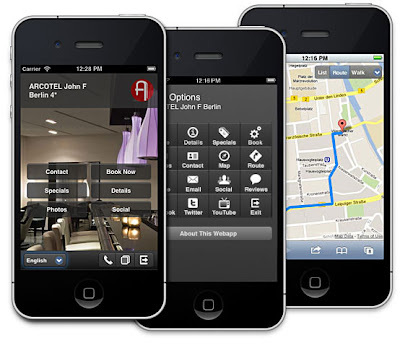 Bookassist Mobile Webapp V2 runs on all the major mobile platforms so hotels can service their customers no matter what their choice of handset. Mobile Webapp V2 is built using cross-platform HTML5 and related technologies such as Ajax, which means it supports the latest versions of Apple iOS on iPhone, Google Android, Windows Phone, Blackberry, Bada, Symbian, Palm webOS, MeeGo and others. Existing Mobile Webapp customers with Bookassist receive this upgrade automatically and without additional cost. For new customers in Scotland they should contact Ian McCaig at Bookassist. For more details, see bookassist.org/mobile. While it's not a perfect tool, Google Translate has improved beyond recognition and if we're being pretty blunt about it, some of the English written on blogs and web pages is so bad that translation may give it clearer meaning anyway! So Google have added it to Blogger now and that means this article can now be read across the world! Hmmmm - doesn't mean it will unfortunately! Facebook Offers - Good or Bad? Well we've just had a quick look at Facebook offers and it seems to offer some positive potential for Facebook admins to promote their businesses. From our hotel clients' point of view it appears to offer the chance to put up late availability or advance offers with discount without the rip off fees of flash sale sites and other deal aggregators. In that sense could it be a game changer? Even if it isn't, anything that makes hotels and tourism providers think about offering deals DIRECT cannot be a bad thing! It comes also on the same day as the launch of Google Hotel Finder in the States just perhaps there is some hope for a move in the balance back towards direct offers and bookings. It is only a small move forward for hotels but for the savvy operators Facebook offers could add some value at little risk. We'll test it out with clients over the coming few days and report back but we can certainly see where using the powerful price groups and discount codes within the Bookassist booking engine could drive direct reservations back through the Facebook booking app or through the website. We'd suggest hotels try using code driven online reservations with a limited number of vouchers being allowed. Ian McCaig of Bookassist in Scotland was quite keen to get a trial going, "Not all hotel pages have access to the Offers feature yet but we will be rolling out some Code driven promotions over the next few days in an attempt to guage how it may drive direct sales through the hotel's direct low cost booknig engine. It certainly won't do any harm in having a direct offers tool."